The Porsche went up in smoke, and his house nearly went with it! 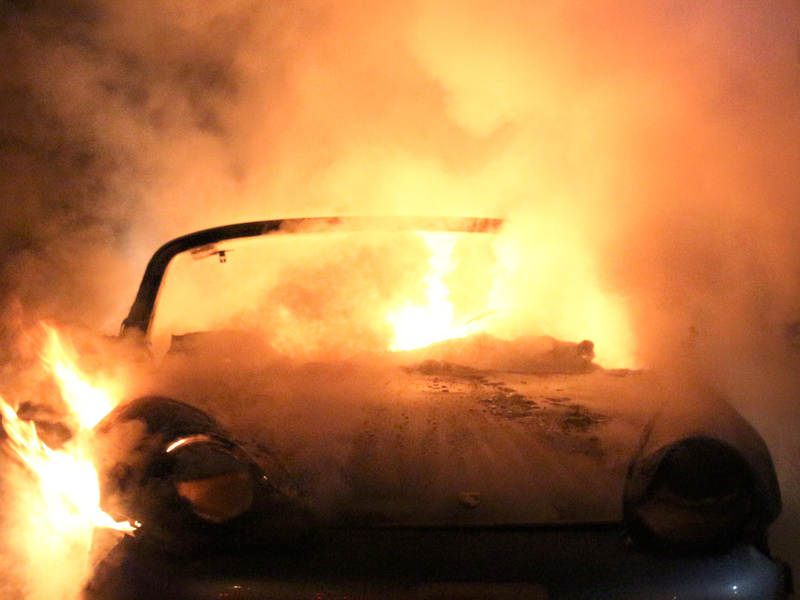 This New Year's Eve at about 10:30 PM in Everett, Washington, a fire broke out and a Porsche was lost. The fire crews arrived shortly after the flames erupted, though the car could not be saved, it was already beyond the point of no return. 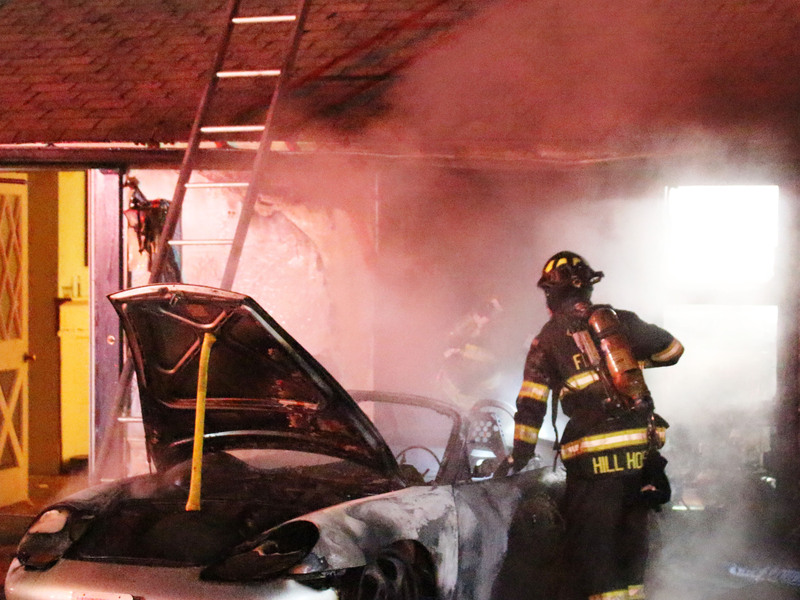 The fire had already spread to the exterior of the Porsche owner's garage, the blaze busters did manage to get the flames contained and kept them from spreading to the interior of the home. No injuries were sustained to humans, though the Boxster is now deceased. While it is awful to think of someone losing their pride-and-joy automobile to a fire, this guy is lucky that the fire didn't take more from him. Reports from local news state that the homeowner had been doing some work on the Porsche in his driveway, and then left the car running and unattended while he left to go to the store. His account of the events states that the car had been on fire when he returned from the store, and then presumably called the fire department first responders to come put it out. While we don't want to make any allegations, being that we only have second-hand reports to go on, that does sound a little suspicious. It would seem the local authorities feel similarly, as a fire investigator was called out to the scene. The results of their investigation have not yet been released. It is possible, however, that such an investigation is simply standard operating procedure. Whatever the outcome of the investigation, the owner must be at least personally negligent. We don't recommend leaving your Porsche running unattended for any period of time, no matter how close the store might be. Careful where you stash your ash, you could burn your car down!